If you are among those who are under the median income of $48,823 per year and are in need of bad credit auto financing in Phoenix, AZ, Auto Credit Express can help you. We know that bad things happen to good people, and that's why, for over a decade, we have been helping people nationwide find the right dealers and lenders in their local areas. Having a dependable vehicle is massively important for your family and your livelihood, especially when you need to commute to the central Phoenix area. And now, finding a dealer near you in Phoenix has never been easier. We want you to get out, see the sights and enjoy all the recreational opportunities that are offered, all while improving your credit rating too. Trying to get approved for a bad credit auto loan in Phoenix can be very difficult and stressful if you don't know where to go. Also, constant denials could be damaging your score even further. This is why it's important for you to know that you only need to stop at one place: Auto Credit Express. When you deal with us, we will work tirelessly to find the Phoenix dealers in or near local areas such as Northwest Phoenix or off of West Bell Rd that can offer you affordable auto financing. Our vast network of dealers and lenders expands well into the state of Arizona, maximizing your chances of getting approved. If you are heading into or have been through a bankruptcy, we want to assure you that things do indeed get better. Our job here at Auto Credit Express is to ensure that there are better roads ahead for the residents of Phoenix, AZ. We know that a BK is tough, leaving a black mark on your credit history for 7 to 10 years, depending on whether it was a Ch. 7 or a Ch. 13 you filed for. 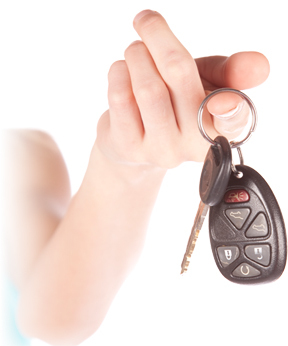 This does not mean that your chances for auto financing approval are gone forever. Once you have been discharged (Ch. 7) or have gotten approval from your court trustee (Ch. 13), there are ways for us to help you find a dealer in your area. And if you are still in the beginning or in the middle of the process, there may still be ways for us to assist you. We know having dependable transportation is essential to your livelihood. Let us help you. Average Miles: 2106 346 are for sale right now! Average Miles: 51 265 are for sale right now! Average Miles: 442 213 are for sale right now! Average Miles: 1871 207 are for sale right now! Average Miles: 37 122 are for sale right now! Average Miles: 39487 95 are for sale right now! Average Miles: 31537 92 are for sale right now! Average Miles: 18395 90 are for sale right now! Average Miles: 105 89 are for sale right now! Average Miles: 9351 85 are for sale right now! If you're looking for a more flexible payment system when also dealing with a rough credit history, a Buy Here Pay Here style agreement might work best for you. There are plenty of BHPH dealers around the East Phoenix area, so it is best for you to find the most reputable ones that will also help you fix your credit. Auto Credit Express can help you do that. The approval process that these dealers use is pretty simple. 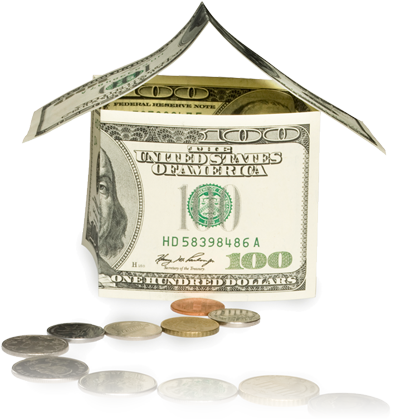 What they need from you is proof of your gross income, employment verification and residential info. From there, they will work with you to find your best payment options and help you select an automobile that meets your financial and everyday driving needs. With a flexible payment schedule, they allow you to pay them whenever you get paid. This means that you will be paying on a weekly, bi-weekly or even monthly basis; it depends on your pay frequency. Just be sure that you find the right dealer. You don't want to pay more than you have to, and you want to be absolutely certain that they report all of your payments to the three major credit agencies. We can ensure that we will only match you with the most highly regarded BHPH dealers in Phoenix, AZ. Just because you have damaged credit doesn't mean that you should be tethered to just any vehicle. We know that sometimes you can't decide whether you love a car or not in a 10 to 30 minute test-drive. A rent-to-own type program may be just what you need, and the team here at Auto Credit Express can help you find a reliable one in your local area. This is sort of like an extended test drive. The main difference is that you make regular rental payments (weekly, biweekly or monthly) on the car, truck or SUV, with part of each payment being applied to the principal balance. Depending on your contract with the dealer, you may simply be able to choose another vehicle if you don't care for the original vehicle. If you do, at some point you will be given the option to purchase the car from them. RTO dealerships don't make an issue of your credit, and the ones in Phoenix, AZ are no exception to the rule. What they want from you is a steady job and income and for you to have enough room in your budget to ensure that you can make the payments on time. This is what will earn your approval with them. Due to the easy and somewhat temporary conditions of this sort of agreement, RTO lots will have ways of securing their vehicles if you don't make your payments. Remote kill switches will immobilize the cars and GPS locators that are installed in the vehicles will assure dealers that they can find them. Should you ever be in a situation where they have to employ these measures, all it takes is getting them the appropriate payment to mobilize your car again. Also located in the East Phoenix area, In-House finance dealerships are an option for those who are in need of easy and fast approval. Since they don't utilize outside lenders, they finance the cars themselves. They are the lenders. When you are working directly with the lender, it makes it easier to develop a lending plan that meets everyone's goals. You have control, and that means that having the most information possible on your prospective vehicle can benefit you in the deal. When you work with Auto Credit Express, you can save yourself a lot of time and energy since we can narrow down your search for In-House dealers along West Bell Rd and the surrounding areas.